Cracking down on impaired driving is a top priority for transportation regulators and law enforcement officials during the holiday season. While these efforts generally include public service announcements, along with heightened patrols and checkpoints, this year’s anti-drunk driving crackdown will also include running new ads before screenings of Star Wars in theaters across the nation. In the time it takes to watch a two-hour movie, two or more lives will be lost in drunk-driving related crashes. 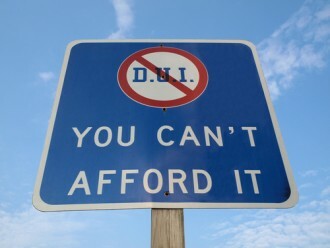 Drunk driving doesn’t just happen. It’s a decision people make. A decision to break the law can bring with it fatal consequences…We’re proud to be working with thousands of law enforcement agencies across the country to protect the public and get drunk drivers off our roads. Nearly 10,000 people in the U.S. were killed in drunk driving crashes last year. This amounts to one death every 57 minutes. In nearly 70 percent of the fatal drunk driving crashes that occurred last year, at least one driver had a BAC of 0.15 (or higher). While drunk driving crashes are about four times more likely to occur at night, male drivers are about 8 percent more likely to cause drunk driving collisions than female motorists. Fatal drunk driving crashes spiked in December around the holidays, when nearly 8 percent of these collisions occurred. If you have been hurt in a drunk driving crash – or any type of traffic collision caused by negligence, contact a Littleton car accident lawyer at Bahr, Kreidle & Flicker to find out more about your options for financial recovery. To get more information about your potential case and options for moving forward, meet with us for a free, no obligations initial consultation. You can set up this meeting by calling (303) 794-7422 or emailing us using the form on this page.